Do Electronic Devices Affect Sleep? 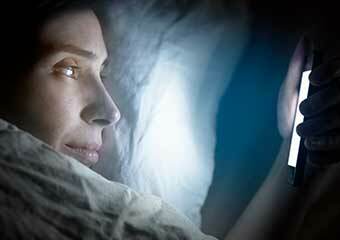 Does reading from an electronic tablet before bedtime affect sleep? We’ve known for some time that artificial lighting can alter the body’s natural 24-hour circadian rhythm. But now, our lives seem saturated with electronic devices that emit short-wavelength-enriched blue light as opposed to broad-spectrum white lights. And often, we’re reading from those gadgets at night just before trying to fall asleep. A recent survey of more than 1,500 adults suggested that 90% of Americans use some type of electronics at least several nights a week within an hour of bedtime. So researchers from the Brigham and Women’s Hospital in Boston conducted a study looking at the impact these electronic devices could have on circadian rhythms and sleep patterns. Dr. Anne-Marie Chang and her colleagues conducted a randomized inpatient study of twelve healthy young adults. Half of the participants read a light-emitting eReader (LE-eBook) in a very dim room for approximately fours hours before bedtime over the course of five consecutive nights. The other participants read from traditional print books under the same conditions for the same length of time. Researchers drew blood samples to test for suppression of melatonin (the hormone produced in the pineal gland, located in the center of the brain, that regulates sleep), polysomnographic (PSG) recordings of sleep, waking electroencephalogram (EEG) measures, and participants’ subjective reports of alertness and sleepiness. Chang and her team found that those who had read LE-eBooks in the hours before bedtime reported lower subjective sleepiness and showed decreased EEG delta/theta activity. Not only that, but they found that reading from the electronic source impacted overall rhythms of melatonin secretion. Participants who read from LE-eBooks did not get the same late evening rise in melatonin that would induce sleep. Researchers also noted a decrease in the ability to achieve REM sleep as compared to participants in the control group. This is actually quite concerning because disrupted sleep patterns have implications for overall performance, health, and safety. But in addition, chronic suppression of melatonin secretion has also been linked with a number of health concerns, including increased risk of several types of cancer. Now we have to be careful about generalizing from this study because it was limited to a small sample size, and looked at only one type of electronic device. But the results are intriguing. The authors noted that the average American teenager spends 7 ½ hours a day in recreational screen use, as well as time spent on homework (which often happens in the late afternoon and evening). So, it will be interesting to see more research into how all of this screen time is affecting overall brain and body health. If you’d like to read more about this study, you can find it in PNAS, volume 112. 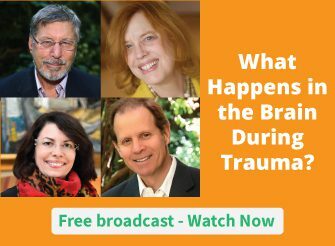 And in our Brain-Smart webinar series, we’re digging even more deeply into brain science – where you’ll get expert brain-building strategies that can strengthen resilience, speed healing and increase happiness. The webinars are free to watch at the time of broadcast – you just have to sign up. Have you noticed the use of electronic devices disrupting sleep patterns – either yours or your clients’? Please leave a comment below. I agree with the below posters. Although this experiment gentlly ventures into the negative effects of EMR on the brain and general health. The effect of EMF on people is hugely underestimated. If you’ve every asked someone to turn their wifi off at night or part with their mobile phone for a day, its quite clear most people are completed hooked to technology making it really hard/unpopular to bring the concerns about its negative effects to light. As a therapist I am ware that it can effect nervous system (triggering traumas/stress) and the ability of cells to sustain/replenish themselves not only at night but during the day also. It is sad that research is often swept aside by industry pressures and consumers themselves. I hope that this changes over time. I agree with the comments below that blue light is not the only factor affecting sleep and that the effect of electro-magnetic radiation, EMR and EMFs from various gadgets can have a detrimental effect on sleep and cognitive function. The use of these devices before sleep or while in bed stimulates brain activity which may also impede sleep. To promote restorative sleep we need to sleep in the dark and away from any device emitting EMR. There are a variety of programs that dim the screen to reduce these effects. A free downloadable, adjustable app is Twilight, there’s also f.lux I’d be interested in knowing if there are still disruptive effects even when using these programs. I can confirm that looking at a hard-wired computer for several hours before bed has no effect on my normal 8hrs sleep. However, spending even half an hour in a building with wi-fi keeps me awake all night, as does contact with someone using an i-pad or i-phone. This would indicate that it is not the blue light that interferes with sleep, but the pulsating microwave radiation emitted by wireless devises. Anyone who cannot sleep should try an experiment – ensure that you are not exposed to wireless radiation greater than 0.02v/m for several days then see if you can sleep. I have also seen someone whose thyroid function returned to normal by blocking all sources of pulsating microwave radiation out of their house. People are very quick to criticise simple solutions but they never want to try it for themselves – more fools they! I have chronic insomnia and have tried so many things. Now I am off all sleep meds, and working with my doctor on CBT-Insomnia, which includes sleep restriction, a brisk walk in the morning sunlight, and getting out of bed if I cannot sleep. So, now I will definitely cut off my usage of electronics an hour or two before bed. Anything to help my melatonin production! Thanks for the tip. Very interesting study. I have a quick question. Were the e-Readers on Flight Mode – ie all WiFi and other wireless radiation turned off – or was the WiFi on on the e-Readers during the reading periods in the study and afterwards? If they were not on Flight Mode then the pulsed microwave/radiofrequency radiation will confound the results as it is well documented in many studies to reduce melatonin levels and affect sleep. This important factor is being ignored in all discussions about how screens before bedtime are affecting sleep, but it may be even more important than the effect of the blue light. In Feng Shui, and Traditional Chinese Medicine, we are taught that the EMFs (electro-magnetic field) of ANY electronic device are detrimental to a person’s sleep, and ultimately, to their health. We recommend removing electric alarm clocks from the bedside, no computers or printers, no fax machines, no cell phones, and no televisions. Preferably, even the bed would be relocated away from a wall on which the main electrical entrance is located. Our aim is to create a dark, cool, silent environment for optimal restorative sleep. In Feng Shui, the rituals of “winding down,” like washing or using water with it’s negative ions, helps neutralize the positively charged particles emitted by electronic devices and the activity of the day. By the way, using light to awaken is a highly successful and environmentally positive experience for most people. Placing a “light clock” far enough away from the bed so that the light, usually a low-watt bulb and its associated electrical draw, works for a natural experience to awaken. One can reset their internal clock this way. I wonder what research has been done on the elderly population who use Kindle’s to read before bed. There have been quite a few studies on youth and the effect of electronics on sleep, but there hasn’t been the same rate of studies addressing the issue in the elderly…yet. Your idea about a “light clock” is interesting, as studies have found that the body’s natural circadian cycle is aided by natural light. Yeah,it affects sleep,mhne and my kids. Great information. This is a wonderful opportunity for people to learn a bit more about the effects those friendly (addictive) devices have on us. Getting a good nights sleep is so important to all aspects of health. Let’s put them away several hours before bedtime. I have noticed a disturbing pattern. If I am on my laptop until bedtime, I have a difficult time “falling off” into sleep. I have to have at least one hour of no computer before I attempt sleep, sometimes longer. I don’t have a kindle. I can read a 3 dimensional book right before turning out the lights. That works find for the “falling off” period. It appears that the light emanating from the computer, differs from the TV, and they do affect my sleep patterns. I’ve tracked this pattern for over 15 years. I totally agree with you,Mahria! Working on the laptop definetelly interferes with my sleep, even when using the device that lowers its glare. I read on my iPad for 15 or 20 minutes each evening before I fall asleep. Because I had read previous studies about it’s effect on sleep, I switched to white font on a black background. I’m wondering if anyone has done research to show whether this change prevents the adverse effects on melatonin and sleep. This study looked at whether the device was light-emitting or not, but beyond this, measured specific types of light. Past studies have shown that blue light is particularly bad for sleep, but it’s possible that adjusting the light settings on your device could make a difference. A fascinating bit of research! I’m going to do my own personal test to see if the e reader is disruptive to circadian rhythms. In the meantime, I’ll catch the “sleep train” no later then 10:30 to wake-wake up well rested! Thanks Ruth. From personal anecdotes an some research it seems to me that a good dose of natural sunlight is the answer to lack of melatonin. Nothing to do with electronic light. The connection is that the more time we spend on the computer the less sunlight we get. Common sense has to be applied to the design of our experiments. Any thoughts on whether the results would be similar from watching video on a tablet or phone near bed time as opposed to reading? Watching TV/vidoes on my laptop has no effect on my sleepiness; there are times when I buzz off even before the programme’s finished. In contrast, if I’m internet-browsing/writing e-mails, my sleep goes out ofthe window. Recently, I was working on an application form throughout the night without even realising I’d been on it for hours. It was only when I noticed the morning light seeping through the window that I checked the time – 6 a.m.
On the positive side, whenever I’m very sleepy in the day time (especially if I had to get up very early) all I need to do is spend some time staring at the screen (e.g. respond to the e-mails) and I’m “alive” again. Personally-I an old fashioned…..I have, being writing (pen to paper) in journals-for twenty three years. Even, when studying, at university-the only essay, typed by computer-was, what I was submitting. This, was in this technological age……writing, pen to paper-really, connects you & personalises the writing process……as for the ‘Kindle’ part……my fave books, are those, from second hand bookshops…..if not second hand-still, a literal book. Again-the personal connection. When I read-from a book-imagery, obviously, enters my mind….feel a Kindle-is a device-of the deconstruction-of, feeling an actual book & the energy, you feel-when, you pick up that book….admittedly-do like the net. NOT on Facebook. Have an iPhone 6 & laptop-so, cannot say, that I do not, like the net…..however….the question, is: using technology, at night. Do not put my phone on silent-as, it vibrates….however…..tend to sleep in-so I put my phone on ‘Do not disturb’….exactly that-once awake-if contacted-can see who/when-however, no noise….personal comment: maybe, three-five years ago, technology-was highly convenient…..it’s gone too far now…..disconnecting, us, as individuals…..especially Facebook: let me pose, this question: out of all the ‘virtual’ friends you have-on Facebook-how many, do you see, in real life??? No I have not noticed any change in sleep and I do it often on my laptop or tablet and doze off and fall asleep, to sleep is nice, quiet, peaceful and restful. And I’m very very familiar with these kinds of states and research as a brain researcher and I found NO difference whatsoever. And has a sort of the comments which is true in many of us also use audio tapes and have since the eighties. In my work I make audio tapes for people with background musics, all kinds of different frequencies to bring on different wave States, bring on Delta states, other states, hypnosis states, etc. and they’re very good to play & fall asleep on at night too. I have never never never noticed anything wrong. The medical building I am in also specializes in circadian rhythms, mainly in aviation and changes in patterns of time zone changes as well as looking at gages and so were those pilots have to do it soon aviation medical building as well too,,,,,,,, hope this helps….. Pray!,,, God bless you all, Dr P.
I have been listening to Jeffery Thompson’s audiobooks before going to sleep. I don’t sleep while in general. Brainwaves fall into five classes: Beta (30–13 Hz) is associated with ordinary consciousness and focused awareness; alpha (13–8 Hz) with relaxation and meditative calm; theta (8–3.5 Hz) with creativity, insight, and meditation; gamma (30–85 Hz) with advanced meditation; and delta (3.5–0.5 Hz) with restful sleep.Thompson has been putting together different brain wave recordings since the 1980s so he knows his stuff. I particularly like his Nature Suite for sleep which is jungle, water fall, river, and beach. He starts with brain waves conducive to relaxation finishing with deep sleep. I tend to use the computer late, it’s 3:10 am right now. It does stimulate me, like caffeine would. But it takes my mind off things that are worrying me. I plan to find an amber light to cover the screen. I have already haywire circadian rhythm. l have had insomnia since l was a baby. I think being in utero in a war started it. After l was born l was startled into waking because of sirens. This lasted for four more years. l slept badly in childhood, started drinking my grans cider at seven. I take seroquel, l have to be knocked out to sleep, it does not matter if l do or do not go online at night. I hope to sometime do Daniel Amen’s brain scan, he has a clinic close by in Newport Beach. I also have depression and unresolved ADHD. Lynette, I too have chronic insomnia. Doing a program now with my doctor of sleep restriction, AM walk in the sunlight, CBT-I, and getting out of bed if I cannot sleep. No more sleep meds! It hasn’t worked yet tho and I am exhausted! Now I will stop using electronics a couple hours before bed to see if that will help. Good luck to us both!